Repeat customers are the best! 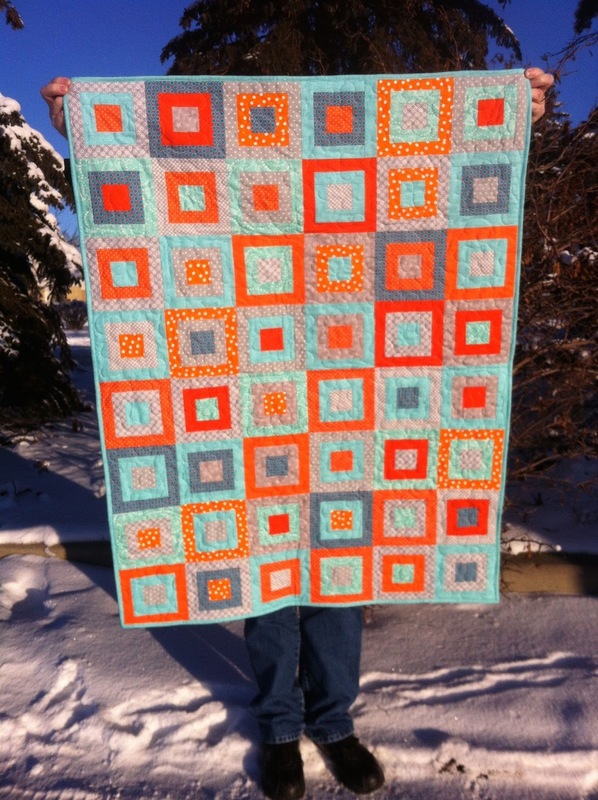 This customer is great to work with and pushes me gently out of my comfort zone to make quilts for her family. The first quilt is a baby quilt in teal blue and tangerine orange with a square in a square pattern. And this one is a twin in oranges with smaller blue squares. We wondered if so much orange would make this look a little Halloween-wish, but it looks just great for a modern boy's room. 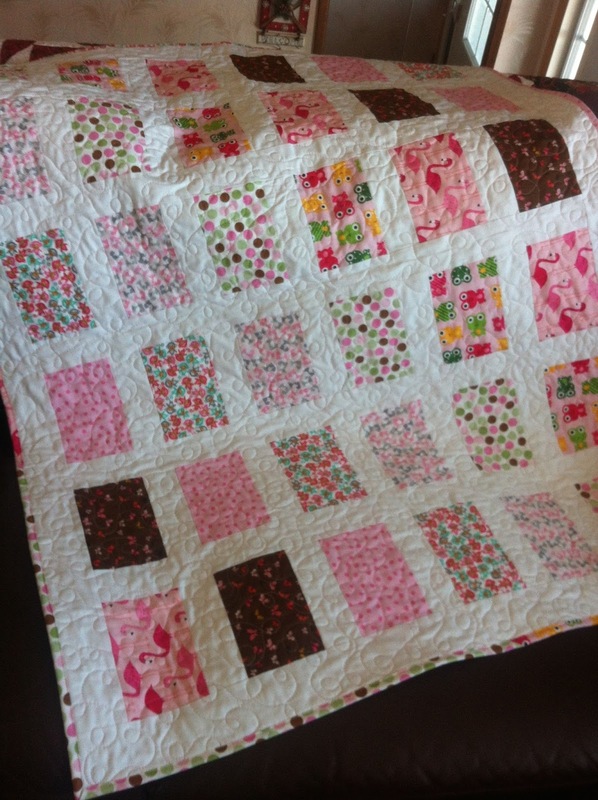 Baby quilts are always fun to make and this one was for a baby girl nursery decorated in a jungle theme. If you click on the photo, you can see the detail close up and the prints I chose. The dark brown one looks pretty dark in the photo, but is a great Heather Ross (I think) print of pink butterflies on a brown background. 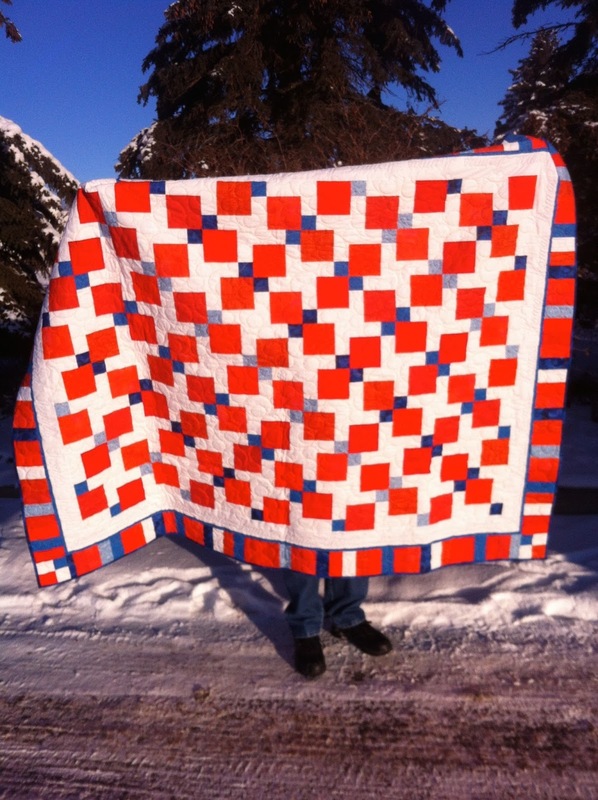 I hope there will be a few more quilts to be made for this customer! It's such a satisfying feeling to know someone likes your work enough to come back and get one (or two or three) more quilts!